Religion and faith are very important to people around the world, and many people want their faith to be reflected in their final wishes. Estate planning can be adapted to make sure that someone’s final wishes also reflect their religious beliefs and their desire to have religion be a part of their family’s life after they have passed on. When you have special requests such as aligning your estate with your religious views, then you want to hire an expert estate planner with plenty of experience in creating those kinds of provisions. You want to be sure that your final wishes are clearly expressed in your estate planning, and you want to be sure that any provisions you are making for religious organizations are done properly as well. There are several ways that you can have the distribution of your financial assets match your ethical and religious values. Some people take out life insurance policies that name their church as the benefactor. This can be an excellent way of spending a little money each month to leave your church a large gift after you pass away. While many people leave money for their churches or civic groups, they also put conditions on those gifts. If you want to be sure that the money you donate is used properly, then you can outline in your estate exactly how the money should be used. This allows you to be sure that the money you leave behind does not get used in ways that conflict with your ethical values. People of means who are active in their local church often leave gifts of real estate behind to help their church reach certain goals. If the church wants to build a new soup kitchen, then a member of the church might leave the real estate to do so in their final wishes. When you leave real estate to your church, you should outline exactly what the land is for. Just as you do not want the money you leave the church to be misappropriated, you also don’t want real estate to be used for something that goes against your values. A charitable trust allows you to donate to your favorite religious group while building assets that will be paid to that group after you have passed away. The income generated by a charitable trust is distributed to your organization of choice tax free for a pre-determined period of time. Once the trust payments to the charity have expired, the trust reverts back to the donor’s surviving family members. Many people become active members of their church and develop strong ethical beliefs that they want to provide for after they have passed on. 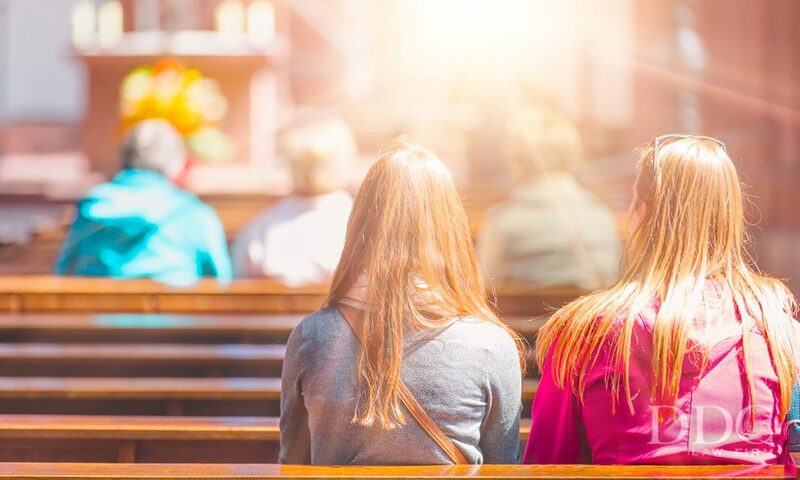 With the help of an experience estate planner, you can make sure that you provide for your favorite church or charity and even set aside a life insurance policy that will help keep your church going after you have passes away. Property Sales and Bankruptcy Divorce and Foreclosure – What are Your Rights?